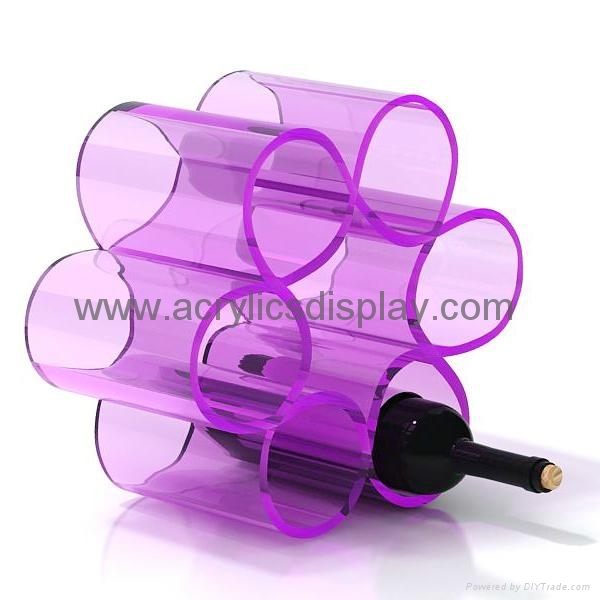 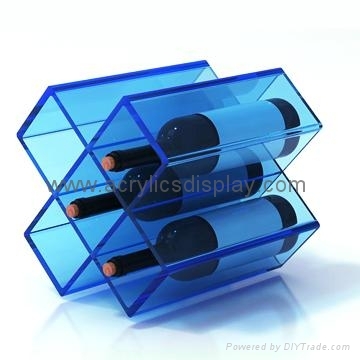 The acrylic wine rack display your wine even-bedded. 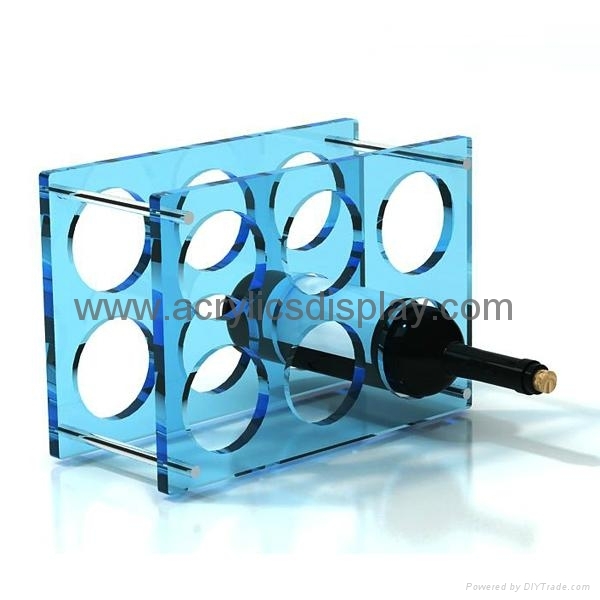 Laser engraved holes can hold the wine bottle very steady. 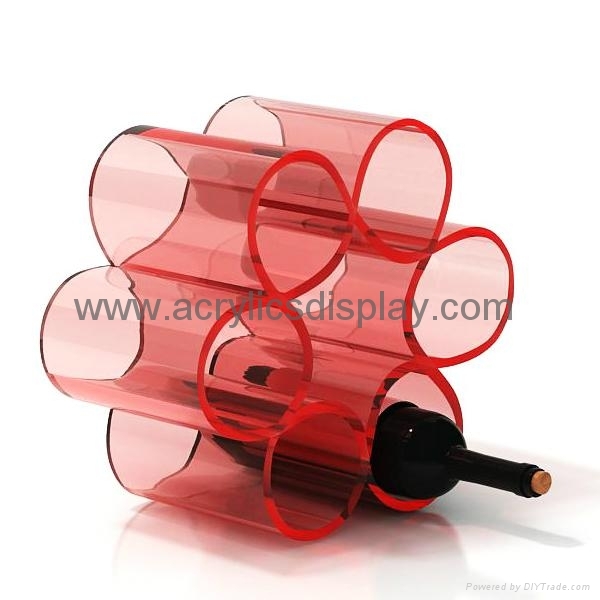 Great for bars, wine shops, retails stores or home usage. 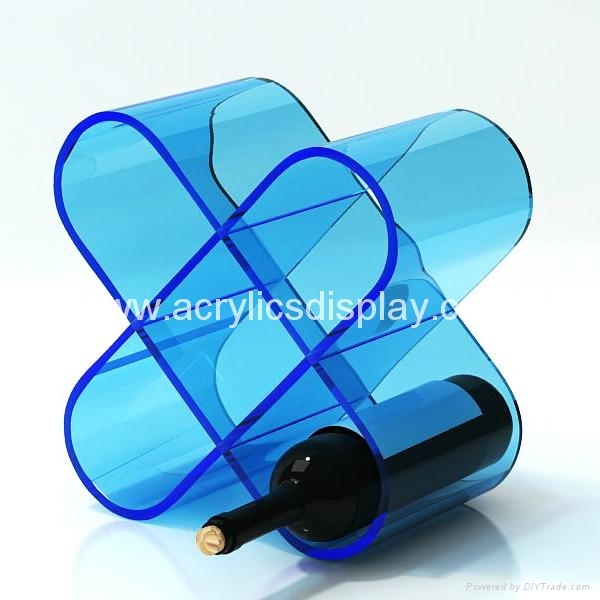 Customized design, size, logo print are welcomed.